The President Muhammadu Buhari (APC)-led Federal Government on Friday published the names of persons who under the Goodluck Jonathan (PDP)-led administration had allegedly looted the treasury of the country. The list which contained six names of high-profile members of the Peoples Democractic Party (PDP) was published in response to the taunting the Federal Government by the PDP that it makes true allegations of “looting” by publishing the names of persons it claims have looted. While some have criticized the list for containing only six names despite the high premium the Buhari-led administration claims to be placing on corruption, others have criticized the list for containing no names of members of the present APC administration. The PDP has in response debunked the allegations and named its own “list of looters” containing names of high profile members of the APC. This write-up, while trying as best as possible to avoid the politics of the issue, considers the list published by the federal government and advises on the need for caution in commentaries on matters pending before the courts. Our criminal procedural laws, as imported from England, seem to slightly permit “suspects” or names of persons alleged to have committed offences to be published and the fact of the allegation may be subject to “fair comment” before the person is charged to court. Indeed, in DANIEL v. FRN (2013) LPELR-22148(CA), the court disagreed that extensive media publication before the trial of a case infringed on a Defendants right to fair hearing and a fair trial. However, when the matter becomes pending before the courts, continued commentary on the culpability or otherwise of a party in the case offends the subjudice rule and may, under some circumstances, be contempt of the proceedings of the court. Looting of the national treasury is a serious criminal offence which cannot be established conclusively save by a court of law. When a matter has proceeded to and is before the courts, parties must refrain from commentary on the matter. In the UK case of R v. Socialist Worker (1975) QB 637, the attempts at publication of names of accused when the courts had warned against same earned the publisher terms of imprisonment or contempt. In Nigeria, while the publication of “alleged looters” may not particularly offend our laws or be complete grounds for action in defamation, the publication of names of those who have been charged to court, including statement of how much they allegedly stole, is no doubt an act which impedes the duty of the court in independently reaching a conclusion on the guilt of a person whose case pends before it and whose guilt is yet to be determined. There is therefore a serious need for caution, particularly as more comments may continue to generate on the said list. Such persons as Olisa Metuh and the former National Security Adviser who are already before competent courts should not have been published on a list that indirectly confirms them as “looters” when the court is yet exercising jurisdiction to determine the issue. “The CJN wishes to remind the public that it is Contempt of Court for anyone to discuss any matter pending in any Court of Law in the country. The punishment for Contempt may include a term of imprisonment,”. ‘We must not allow ‘trial by newspaper’ or ‘trial by television or trial by any medium other than the courts of law.’ I think that anything in the nature of prejudgment of a case or of specific issues in it is objectionable not only because of its possible effect on that particular case but, also, because of its side effects which may be far reaching. The CJN’s admonition is clear and incisive of this issue. The Federal Government is no doubt a party in all criminal trials it has initiated in courts against some named in the “alleged looters list” and the publication of the list has no effect other than to taking the cases already pending before courts to the court of public opinion. Even though one may say it was the opposition who “asked for it”, there is need for caution to intervene to avoid further and more full-blown commentaries on the issue. It is the duty of the Government and all in society to preserve the machinery for the determination of rights and the preservation of justice: the courts. Judges do not possess adjudicatory authority because they are muscular men of strength, rather possess this authority because the society abides by their direction and respect their determination of rights and obligations. The rule against subjudice acts or comments seeks to preserve this authority and if the other arms of government who should aid in ensuring the respect for the judiciary continue to recklessly engage in acts that derogate from its respect, the role of judiciary in ensuring of justice may become an illusionary concept and the rule of law; a theory we only read in law books. 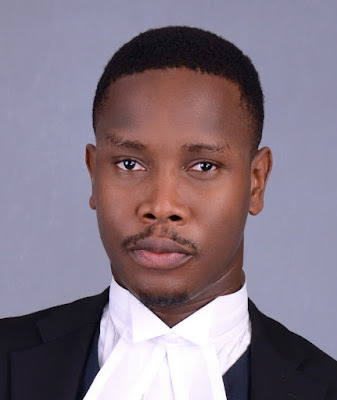 The Federal Government must therefore exercise caution and restraint in leading discuss on matters already under the adjudicatory authority of its own courts.